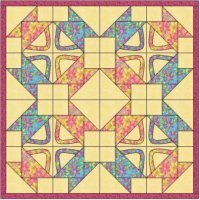 Patchwork quilt designs are readily available. You can find them at libraries, quilt shops, book shops, guilds, the internet, from friends and more. 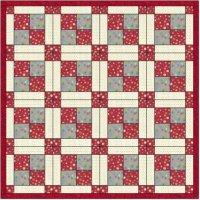 My personal favorite patchwork method is Marti Michell's perfect patchwork system. There are courses worldwide using her system and I highly recommend you try one. 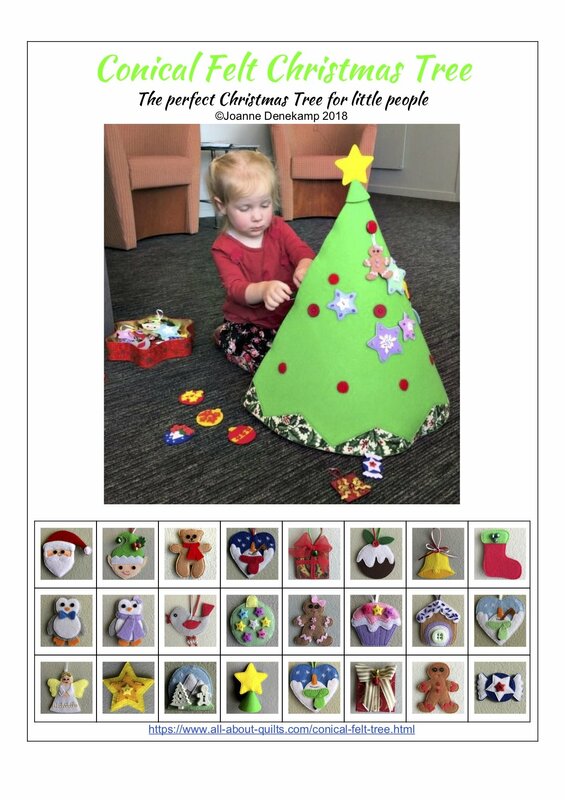 Marti has designed a template system that ensures accuracy of cutting pieces that then fit together into their block with all pieces behaving themselves. 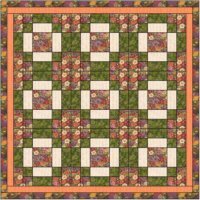 I have made several patchwork quilts using her system and the results are outstanding. Another method that gives accurate results is foundation piecing also known as paper piecing. 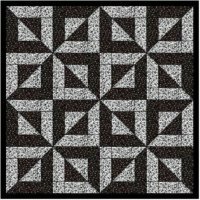 This is a traditional quilting technique that is still popular today. You sew your fabric pieces directly onto the paper pattern. Seams and their corners line up very well with this method. The paper is removed at the end. 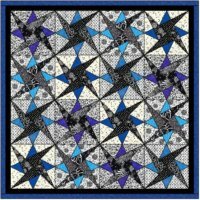 To download these patchwork quilt designs you will need to have Adobe Reader on your computer. It is a free software program and can be downloaded here. 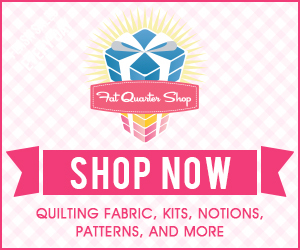 * When sewing patchwork pieces together it is important to use an accurate ¼” seam allowance. In quilting that’s sewing a ‘scant ¼” seam’. This means a seam that is a thread or two less than a true ¼” – these few extra threads are taken up as you fold the fabric back on the seam. You can buy a ¼” foot for your machine which creates a scant ¼” seam when you run the edge of the foot along the edge of the fabric. * Always sew using a sharp needle. Best results are achieved this way. 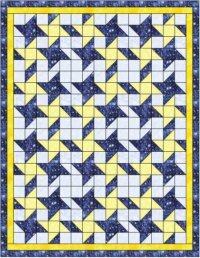 * Each quilt above is made out of a repeating block. Sew each block together first then sew the blocks into rows. 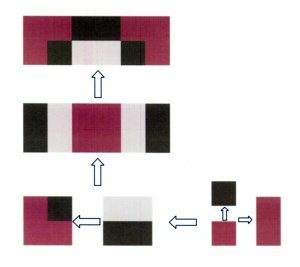 Below is a simple piecing diagram that shows how to sew the pieces of a block together.